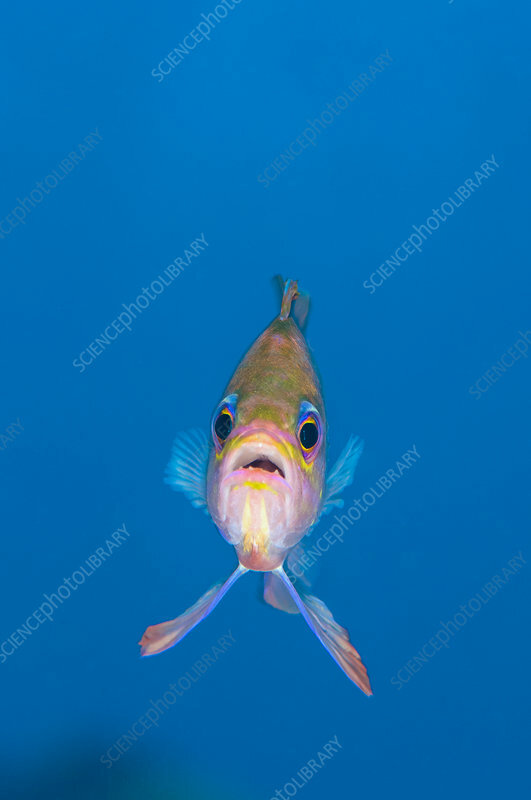 A portrait of a Mediterranean anthias (Anthias anthias) against open water. Secca Del Papa, Tavolara Marine Protected Area, Sardinia, Italy. Mediterranean Sea.